On Tuesday, Oct. 9, La Salle University will host a lecture on Oscar Romero, the San Salvador archbishop martyred on March 24, 1980 while celebrating Mass. The lecture will begin at 7 p.m. in La Salle’s University Chapel. Romero, along with with Pope Paul VI, will be canonized by Pope Francis in Rome on Oct. 14. An outspoken advocate for the poor and marginalized, Romero was targeted by El Salvador’s government and military for decrying widespread corruption and human rights abuses. 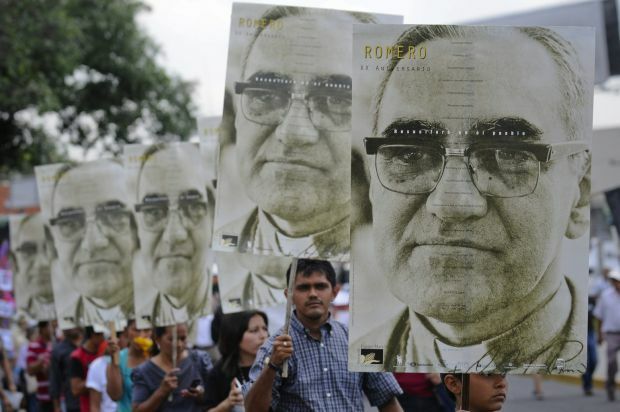 Beatified in 2015, Romero has been a popular patron of Salvadorans since his death. Augustinian Father Arthur Purcaro will deliver the Oct. 9 lecture, which is sponsored by the La Salle’s graduate programs in theology and ministry, department of religion and theology, and university ministry and service. Oscar Romero is an inspiration for our times.